Four different companies have delivered five applications in the 8th Licensing Round in the Danish North Sea. 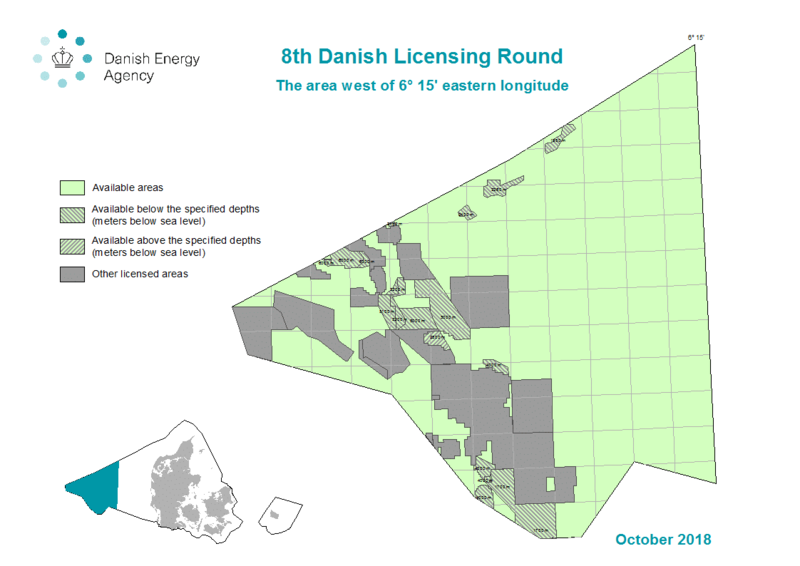 The deadline of the 8th Danish Licensing Round for areas for oil and gas exploration and production was today 1st of February 2019. The Danish Energy Agency announced it has received 5 applications for concessions from 4 companies. The companies that applied are: Total E&P Danmark, Lundin Norway, Mol Dania and Ardent Oil. New concessions are expected to be awarded in the summer of 2019. The Danish North Sea Fund will hold a 20 per cent interest in the new licences, on behalf of the Danish state, and the oil companies will hold an 80 per cent interest. The Danish minister for energy, supply and climate Lars Chr. Lilleholt says he is happy with the number of applications. For reference: in the 7th Licensing Round in 2016, 16 licenses were awarded to 12 companies. The last couple of years there has been very little exploration activity in the Danish sector. In 2019 however the first exploration well since 2015 will be drilled by Hess and DEA is planning a well in 2020 (Read also “Activity on the Danish Shelf”). Surprisingly we do not see these companies in the list or companies such as Ineos, Noreco and Spirit Energy, which otherwise are quite active players on the Danish Shelf. The Danish Energy Agency is trying to boost the exploration activity again and has as goal a 2-year cycle of exploration rounds and therefore expects to open the 9th Licensing Round in 2020.